Hello! This Saturday (Err Thursday) Morning Cartoons will be a submission Robattle! Mysterious man X and his Medabot Syyyyyyyyylverfyst vs. TAY's very own Habbot! I am your referee, Mr. Referee! ROOOOOBATTLE! .... All joking aside, welcome to this week's Saturday (Err Thursday) Morning Cartoons, the series where I go back and watch shows that I enjoyed immensely as a kid and see if they stand the test of time. The rules are that the show must have aired on Saturday Mornings at one point or another, preferably on Fox Kids or WB Kids, but ABC Family works too, even though it was the red-headed stepchild of Saturday morning cartoon channels. This week we're looking at Medabots! I'm actually really excited about this one because I liked this show tons back when I was younger. The show is set up like this, there are robots known as medabots everywhere in society, they help with everyday tasks, battle each other in competitions akin to a suped up boxing matches complete with special moves and projectile attacks, in these battles just about anything goes. There are different types of battles, but the one the show focuses on in submission battles, where the loser has to give the winner one of the parts to their metabot. Medals are what power these medabots, they are the brain/soul of the medabot. The rare medals give the medabot access to the medaforce, a way to power up and become extraordinarily strong. Ikki is a kid who doesn't have a medabot of his own, because his parents won't buy one for him, he has to pay for it himself. when his friend is attacked, he buys an old junky medabot and puts a medal in it that he found in the river! Thus Metabee is born. The ultimate Medabot/Medafighter combination is born and we have our heroes for the show! The first episode was so good I had a hard time believing it. The humor is mixed in with the action of the robattles so well that it gives a nice tone to the proceedings. The show knows when to be serious with it's robattles and when to throw in just enough gags to make everyone giggle with it. The characters are introduced nicely and so far I don't hate anyone yet. Which is honestly a big improvement over some of the other shows that I've watched while doing these articles. The Rogue Phantom is particularly hysterical in his debut with a botched theft that set up the plot of the show going forward and the mystery of who he is while obvious to me now, was super compelling when I was a kid. The battle with the rock and roll gang is at one end really cool, and simultaneously super silly. Metabee doesn't take orders from Ikki at all, and in fact doesn't like Ikki! It's an interesting dynamic for the show to take and early on in the show they milk it for all it's worth. It works mainly because Metabee is hysterical. He's got a really nicely done voice for the English Dub of the show anyways. Erika and Brass help out in this department as well, it seems as though Metabee will listen to just about anybody, but Ikki to begin with. The dynamic doesn't last all that long and the two of them quickly become friends once Ikki realizes he shouldn't just treat Metabee like a tool and more like a partner. That's when the show really kicks off into high gear and some of the coolest fights happen. One thing that I love to death about this show is the character designs, it's simplistic and sleek, but has detail where it needs to, it's awesome! 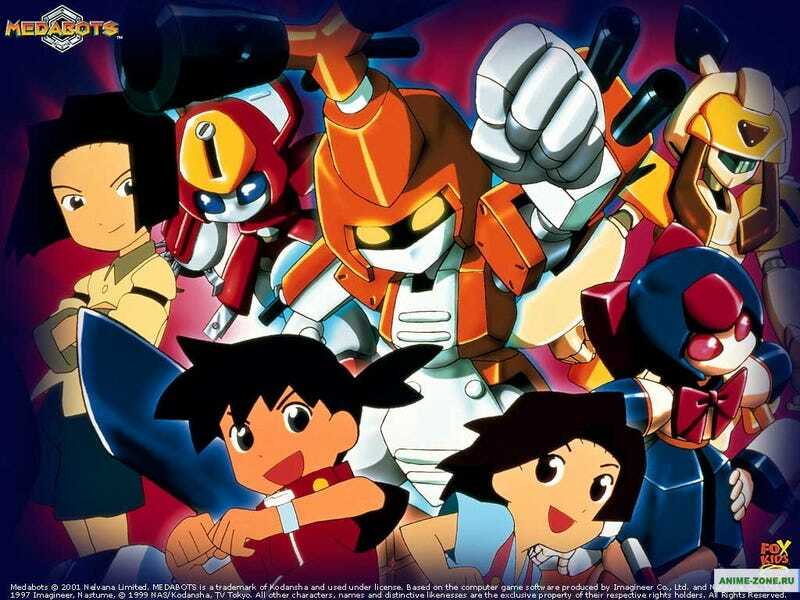 I think the design for most of the Medabots are just some of the coolest designs in Saturday morning cartoons! Metabee was my favorite, but there were definitely others that were up there in terms of design quality! Seriously! Just look at that!